Pottery affects us subtly. It affects us through physical interaction, as part of our daily or occasional rituals. We are alternately conscious and unconscious of its presence, as when we are arranging flowers in a vase or setting the table, idly sipping from a cup or rinsing dishes at the sink. Pottery is also an element of visual display. We arrange it in the breakfront, on a sideboard or mantle. It becomes part of our immediate visual environment. It can be an object of contemplation, a network of formal relationships. It can be a symbol of beauty. I consider the pieces I create as functional forms. Functional forms are about touch, both real and implied, and about communication over time, through use. They are defined in relationship to the demands of use. How much can a volume hold? How does a handle feel in your hand? How does liquid emerge from a spout? I think of my pieces as sculptural objects. The interplay of formal elements within each piece is very important. I observe and enhance the visual and physical relationships between two or more forms when they meet in a pair or grouping. The contours and volumes, colors and surfaces of the objects I create compose a dimensional image. This image is at once concrete and abstract. I see my pieces as ornament; objects intended to visually engage and enhance their environment. I see the pieces I make as communication. Each pottery form carries a cultural and historical text. Many of the sources for my work lie within the long and complex history of ceramics. Chinese and Korean celadons, Iranian tin glazed earthenware, and designed pottery of the Modernist era; these are just a few of the historical genres that have inspired the development of my work. When creating functional forms I also consider the vernacular. Each of us has an inherent understanding of functional forms that is embedded in our culture. I engage in a dialogue with that vernacular when articulating each specific form. Working primarily with porcelain, I am also interested in European porcelain from the 18th and 19th century such as Sevres and Meissen. I have a curiosity for the culture of hobby ceramics, and its connection to the women’s tradition of decorating on porcelain that has existed in the United States since the 19th century. 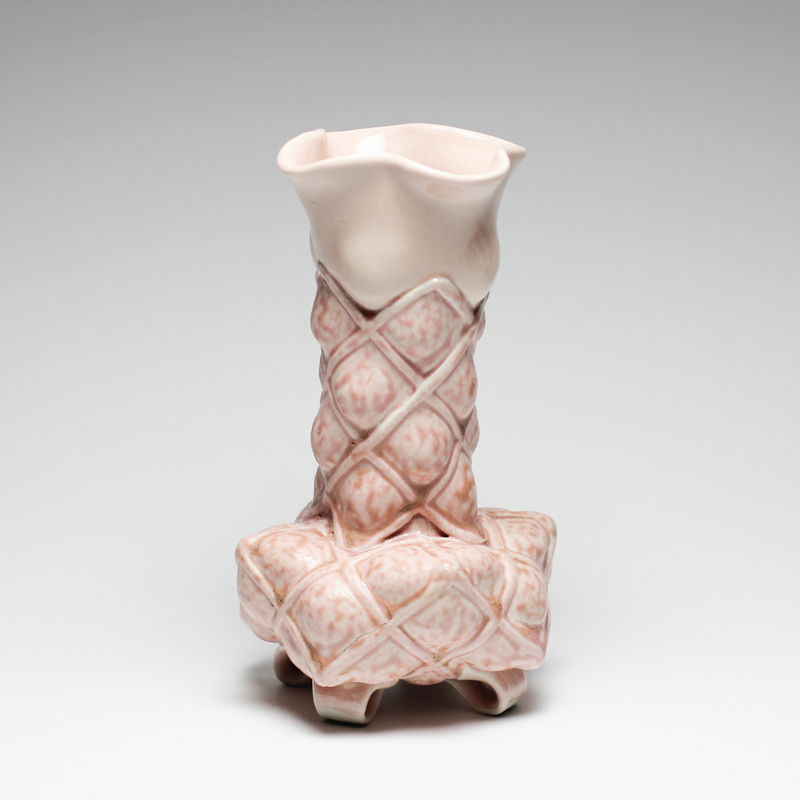 In my use of porcelain, I reference its particular history. Thus material also carries meaning.